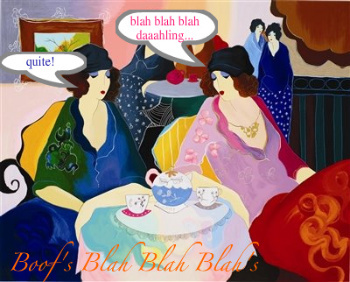 Boof: I love the blog name Sugarpeach – how and why did you come up with that name? Evangeline: Thank you. I had a hard time getting the blog name I wanted. Every name I filled in was taken. After 9 or 10 tries, I finally decided to use a fruit name. Peaches is my favorite fruit and since I did not want to use peach.wordpress.com since my blog is not a fruit blog, I decided to put in a “sugar”. I have a sweet tooth and love eating peaches in sugar water. Boof: You live in Malaysia – can you tell us a little bit about where you live and work? Evangeline: I live in Malacca, which is one of the southern states in Peninsular Malaysia. Malacca is a historical state and besides being known for our historical buildings, we are also known for our food. I’m living with my family in a house 20 minutes from the city center. I am not working. Boof: You say that you like books with humour and intrigue. Which are your favourite books and authors? Evangeline: That’s a tough question. I have so many favorite books! For humor, I’m going to pick In Between by Jenny B. Jones. It’s a light-read young adult fiction. There are plenty of laugh out loud scenes in it. For intrigue, I’ll pick The DMZ by Jeanette Windle and False Witness by Randy Singer. They are both suspense/thriller novels. The suspense/thriller genre is my favorite book genre. I especially like it when they have a little dash of romance in them. Boof: You review for several publishing houses – how did you get involved with this? Evangeline: I was browsing through a friend’s blog and noticed the Thomas Nelson and Tyndale House Publishers blog buttons offering free books. Of course, I just had to sign up for these programs. I’m reviewing for a couple other publishing houses as well. I got into their mailing lists by emailing their publicists. Boof: If there was one book that you wanted to shout about and tell everyone they should read, what would it be and why? Evangeline: The Language of Flowers by Vanessa Diffenbaugh. The story is beautiful. For a debut novel, this is a smash hit. In the UK, it was the subject of a 9-publisher auction and publishing rights for it were sold in 31 countries. Don’t you think this sounds pretty amazing? Boof: What’s your favourite thing about blogging? Evangeline: To be honest, the free books. But I also love the way book blogging has allowed me to blog my thoughts of a book. In a way, it also “forces” me to think about why I like or don’t like a book. Boof: I’m going to pinch one of your questions now and ask you to tell us a little known fact about yourself? Evangeline: This is my favorite question. I love watching live soccer on the TV although I don’t play soccer. Last film you saw at the cinema: The Voyage of the Dawn Treader. I rarely go to the cinema. Which author would you most like to meet (dead or alive)? Vanessa Diffenbaugh. I would love to find out her secret to writing such a wonderful novel. I love your glasses – where did you get them? 😉 Thank you! I got it from the optician. I’m not sure about the US, but old-fashioned glasses are in fashion here in Malaysia. My Dad loves crime fiction. In his words “if it hasn’t got a murder in the first three pages, it’s not worth carrying on”. So here it is – my fathers first and last review (cue applause). This was an enjoyable but unusual book. Once Kenny knows he has only weeks to live he decides to go back and put wrongs right but there is not enough explanation as to why he chose the four people he did. I thought that the girl from his class in junior school didn’t have a strong enough reason for him wanting to find her again as they had only been at school together for a few years. It could have done with an extra chapter or 2 to develop more of why he wanted to go back to find these people. Once the book got going it suddenly became particularly violent but believable and understandable violence (something that we could all have in us to committ potentially). The ending was very good, although it almost got out of hand. At one point I did almost wonder what was the point but it ended up being summed up nicely. While I found this book very enjoyable; while somewhat surprising it was believable. I would definitely read another of his books. I have also discovered that he wrote the TV series Luther, which I loved. Thank you to Daddy Whisperer for his review. Has anyone read this book or author? What did you think? I haven’t read this book yet (I lent it to my dad first) but I fully intend to read it. 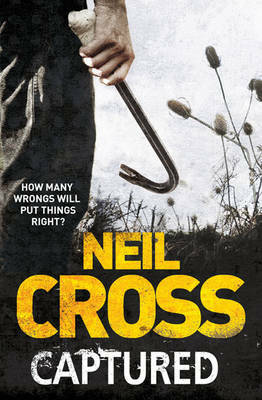 I have just read one of Cross’s other books, Burial, which I LOVED and which I will be reviewing soon. This is the second of Mummy Whisperer’s reviews. “On a Sunday morning in July 1625, Barbary pirates sail into a quiet Cornish bay and storm the church. Their loot: sixty men, women and children, kidnapped and bound for northern Morocco, where they are to be sold in the thronging slave market of the Souq el Ghezel. This is another book based on historical fact. Yes, I really love my history! I had already read White Gold by Giles Milton, a non-fiction book, so I knew about pirate corsairs from Morocco taking white slaves from Cornwall by force back to north Africa. The author, Jane Johnson, was in Morocco researching the story of a distant ancestor kidnapped by Barbary prirates when the idea for this novel came to her. 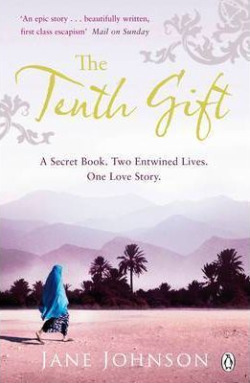 The Tenth Gift is the story of two young women. Cat Trepenne, a servant in the 17th century household of Lady Harris of Kenegie, Cornwall, and Julia Lovatt living in the present day whi is given a book “The Needlewoman’s Glorie” as a bitter-sweet parting gift from her lover. The Needlewoman’s Glorie containing diary entries written on each page had been the propery of Cat Trepenne which she had on her when she was captured. Julia’s quest is to uncover the story of Cat takes her on a journey to Morocco. I really enjoyed this book although the first part was a bit slow. But once the author started describing the raid on Cornwall, the subsequent journey and life of the white slaves in Morocco and Julia’s quest, her research and enthusiasm came to life. The book was an interesting and colourful, exciting read based on well researched material and the author’s own life – she is now married to a Moroccon! Have you read this book? Can you recommend any others about this period or set in Morocco? Please all welcome Mummy Whisperer to my blog for her first ever review! Mummy W loves reading as much as I do; in fact she and Daddy W are entirely responsible for my love of books. I have such fond memories of them reading to me as a child and I love nothing better than meeting up with my Mum for a cup of coffee and a chat about what we’re reading and nipping into bookshops to top up our mounting collections. Due to my mounting review copy pile, I have asked both my parents to pick anything that they think they may fancy from my shelves to help me out and this is the first book my Mum picked. This book was sent to me directly from the author and I have every intention of reading it myself too. 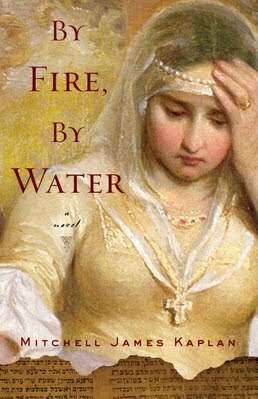 By Fire, By Water by Mitchell James Kaplan is a very good read if you enjoy fiction based on historical fact. Louis de Santángel, chancellor to King Ferdinand’s and Queen Isabel’s court, is from a family of ‘conversos’. His Jewish heritage makes him a target of the Chief Inquisitor of Aragon and he is implicated in his murder as he reconnects with his family’s Jewish faith. He meets and falls in love with Judith Midgal, a clever and enterprising Jewish woman and as his friend, Christopher Columbus has plans to discover “paradise” in the west, Louis de Santángel helps him at a time when love, faith, politics and torture of the Jews, Christians and Muslims is at its height in 15th century Spain. Kaplan left me feeling that his research on the Spanish Inquisition was sound and extensive. It took him six years to research and write. I really enjoyed this book! Thank you to Mummy Whisperer for her first review here. Number two is coming up shortly. Hope you’re all having a great weekend? Mr Whisperer have been snowboarding at the slopes in Xscape in Castleford – just for the hell of it. Yowzer – it hurts! Two hours of snowboarding, I reckon, is the equivalent of doing at least 1000 squats! I think I used every muscle in my legs and backside (including some I didn’t even know I had) just to stand up on the damn thing. What fun though 🙂 Once we actually managed to stay upright for more than a few seconds it was fun going down the slopes (expecially when Mr Whisperer did the best comdey fall ever). We think we might have a go at skiing next and see what that’s like. 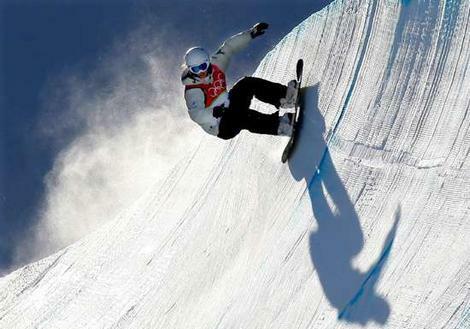 Have you ever done snowboarding? What did you think? Oh my, I am loving this challenge. Anyone who has followed my blog for any length of time will know what a huge fan of Mary Higgins Clark I am! I discovered her books last year by accident and I can’t get enough of them now – they are my ultimate comfort reads. 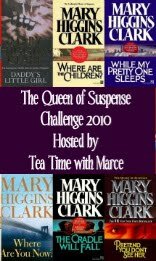 So imagine how thrilled I was to discover that Marce from Tea Time with Marce has started “The Queen of Suspense” challenge. The challenge lasts for a year and I am opting for reading 6 of her books: considering that I read one on holiday last week and I am currently reading another I’m off to a pretty good start. Please check out Marce’s blog if you want to join in with me. A few weeks ago whilste in the middle of a panic attack about how many review copies I had on my shelves, I had a brainwave: My parents love books; I have loads of unread books; they can help me read and review them. Genius! Mummy and Daddy Whisperer will making their debut in the next few weeks. And also, I am thrilled to be introducing one of the biggest loves of my life – my gorgoues 7 year old niece, Sophie Whisperer. Sophie, to my immense joy, is a book lover too: when she was up in Yorkshire a few weeks ago staying with us, I was giving her a goodnight kiss and cuddle and she said “we’re like twins, you and me; we both like books, we both like cats and we both wear glasses”. Exactly! 😉 Sophie will be reviewing some of her favourite books and I can’t wait to see her reviews. Hope everyone is having a great weekend. Have you got up to anything exciting or just having a chilling one?